David Tomb is best known for the figurative portraits that defined his career for twenty years. Though David had a lot of field experience birding in the United States, it was natural history trips to Belize and then Mexico: Chihuahua, Mazatlan/San Blas, and El Triunfo/Chiapas between 2005 and 2007 that inspired and galvanized him to circle back and integrate his first two loves from his childhood, birds and art. 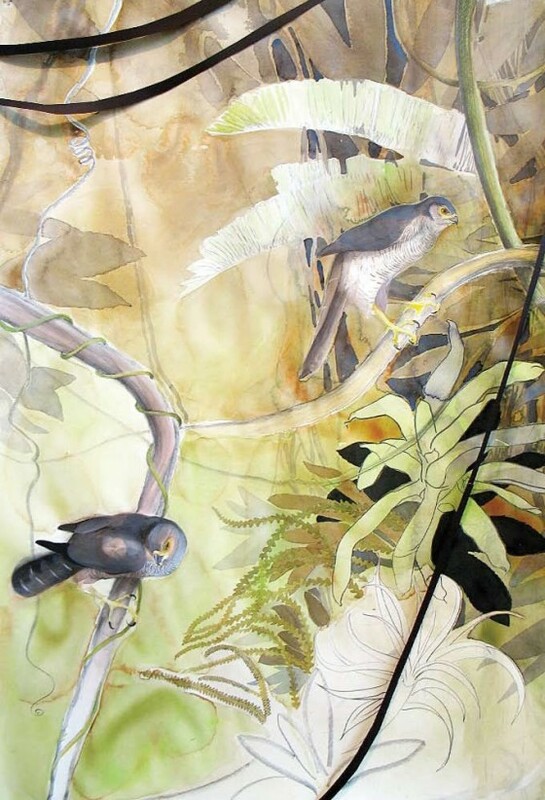 He then began painting large-scale works featuring an impressive array of the birds he had seen in the Sierra Madre. 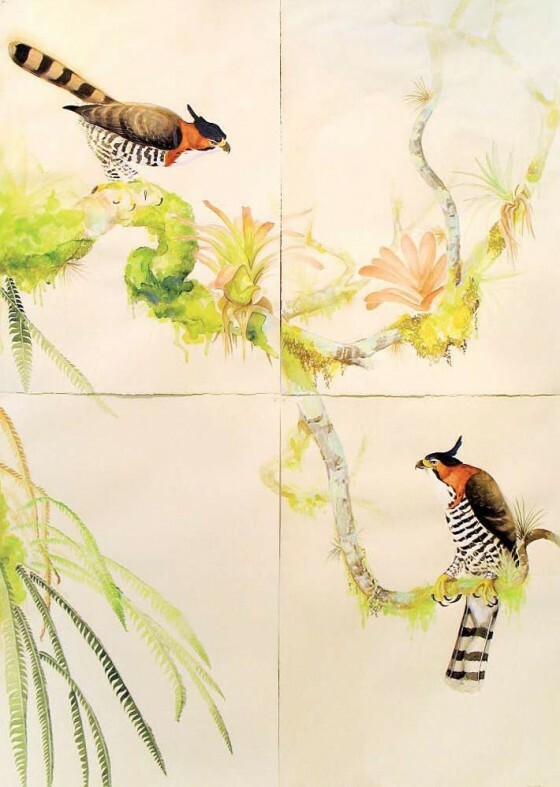 The result was his solo show titled Treasures of the Sierra Madre – Birds of West Mexico, an exhibition of works on paper featuring Mountain Pygmy-Owls, Emerald Toucanets, Great Kiskadees, Blue-crowned Motmots, Ringed Kingfishers, Tufted Jays, Ornate Hawk-Eagles, Barred Forest-Falcons, and more. For reference, David draws upon detailed sketches and research he gathered from the Museum of Vertebrate Zoology, U.C. Berkeley, the Natural History Museum of Los Angeles, California, and the California Academy of Sciences. 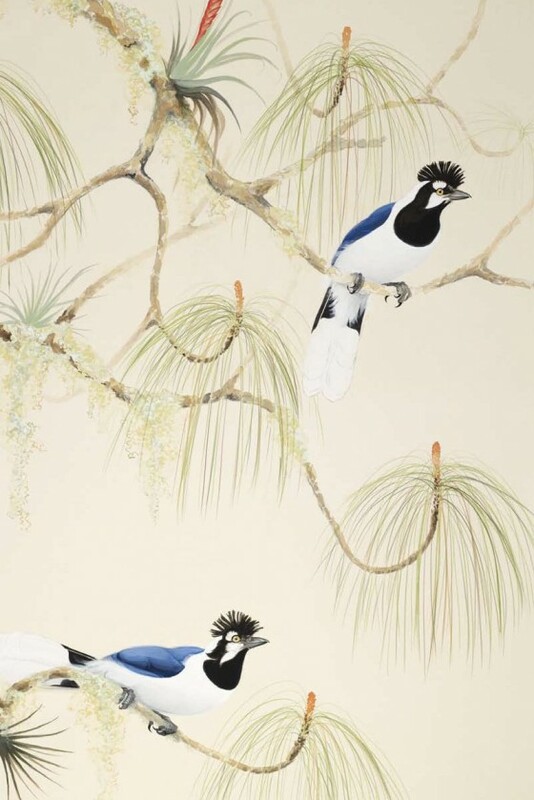 The works are executed in vibrant gouache, watercolor and colored pencil after applying the graphite sketch to the paper. David is an artist exhibiting nationally and internationally and represented locally by Electric Works gallery in San Francisco. 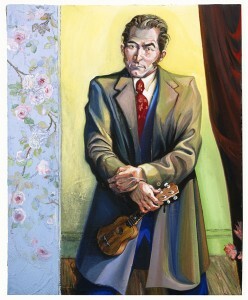 His work can be found in many public collections such as the Achenbach Foundation for Graphic Arts at the Fine Arts Museum of San Francisco, the Arkansas Art Center, the Fresno Art Museum, the Oakland Museum of California, the Triton Museum of Art, Hartnell College, Augusta State University, the Angela Peralta Theater in Mazatlan, Mexico, the Quinta Mazatlan-World Birding Center in McAllen, Texas, the U.S. State Department (Art in the Embassies program), and the Crocker Art Museum. His work has also been widely published in The New Yorker, Harpers and the New York Times. The three works below are part of the permanent art collection of the Consulate General of the United States in Ciudad Juarez, Mexico.